In his 15-year Professional drumming career, Grant Nicholas has learned to become prepared for every eventuality. He has played in iconic surroundings, such as New York’s Radio City Music Hall, LA’s Pantages and Dublin’s Olympia & Gaiety Theaters and massive venues, including Auditorio Nacional in Mexico City & Aviva Stadium in Dublin. Grant has toured the world – from Alaska to the United Arab Emirates, performing with stage musicals and rock bands. 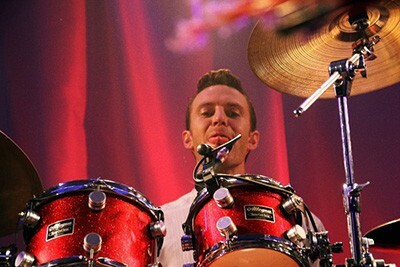 Before long, Grant began learning drums under the tutelage of renowned Irish drummer Mark Grist. In later years, he studied Irish and orchestral percussion under Eddie McGinn at Waltons New School Of Music, Dublin. The real apprenticeship, he says, was with his original band Nanook, which was renamed the West Seventies in 1999. The band recorded singles, albums, toured Ireland, the UK, Europe and the United States. They also performed on BBC, RTE, radio stations across the globe, and continue to have their songs picked up for film soundtracks. Along his travels, Ian has played with Riverdance (8 years), Harlequin – the top Wedding Band in Ireland ( 5 Years ), Moya Brennan, Frankie Gavin, the West Seventies, Robin James Hurt, Don Baker, Donal Lunny, Michael McGoldrick, Carlos Nunez, Camille O’Sullivan, Ronan Keating, Brendan Grace, Barry ‘The Fish’ Melton (Country Joe and the Fish), Laine Henderson and Jeff Tuttle. His festival experience includes: South by Southwest in Austin, Texas, with the West Seventies; Eurofolk Festival’s in Ingelheim & Bad Wunnenberg Germany & The Electric Picnic with Robin James Hurt; and Triskell Festival, Trieste, Italy, with Moya Brennan. Grant’s studio experience includes sessions and recordings with Riverdance, Zoe Conway, Nanook and the West Seventies, Colin Scallan, Laine Henderson & The Pitch Perfect Choir. Television appearances include Beyond the Line on BBC, Live at 3 with Nanook, the Ryder Cup Opening ceremony on Sky Sports, the Today Show in NYC, Today’s Star’s on Sky with Riverdance. 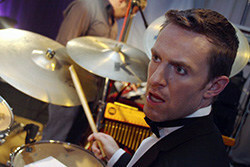 In late 2011, Ian’s Percussion Workshops for Adults featured in the 8 part reality TG4 production Pitch Perfect.